With a trio of roles at this year's Sundance Film Festival, he's added to a collection of challenging film work that's been growing for a while. If doing standup is like a conversation with the audience, as Jim Gaffigan describes, he’s had quite a few of them. But while he rose to prominence as one of the country’s most popular comedians on stage, he’s been quietly amassing a collection of film roles that flex some distinctly different muscles. 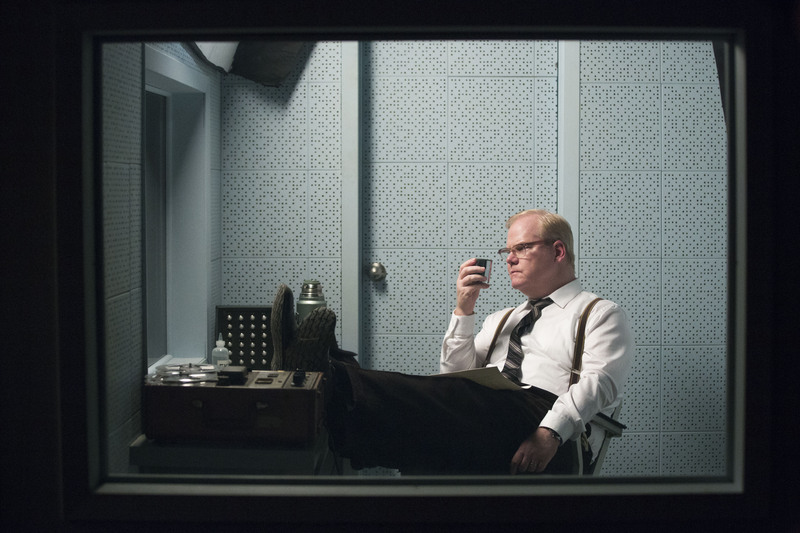 All of that came to a head at Sundance 2019, where Gaffigan is a part of three different films, each occupying a different corner of the indie film world. “I love standup and the process of developing material, and there’s a certain authority that you have as the writer. Whereas, it’s definitely a collaboration in an acting world. You feel a responsibility not only to the director and the writer, but to the character,” Gaffigan told IndieWire. In the “Light from Light,” he plays a widower who thinks he might be seeing proof of his deceased wife’s spirit. “Them That Follow” finds him taking on the role of a devout follower of an Appalachian preacher. In the ’70s-set “Troop Zero,” he’s the father of a nine-year-old obsessed with space. Gaffigan’s had an acting career for the better part of three decades, but this trio of films gave him the chance to work alongside an especially impressive collection of co-stars. Being immersed in the standup world for so long, Gaffigan has charted the evolution of comedians’ relationship with the acting world. As the lines between comedy and the amorphous clump of “serious roles” gets more blurred with each passing year, Gaffigan’s noticed how gradual that process has become. It’s been three years since his self-titled sitcom went off the TV airwaves, but serving as an executive producer alongside his wife Jeannie gave him a taste of what it was like to be in control. There was a constant need to keep an eye on the day-to-day responsibilities of production. From that perspective, he understands how a lot of what drives the modern film and TV environment — especially when it comes to casting — is sticking to sure things. So for the moment, Gaffigan is totally fine with putting his efforts into fulfilling a role and not having to juggle the responsibilities outside what the script dictates. Gaffigan’s been pigeonholed before. Back when his standup work was first gaining visibility, he had to break free from labels back then, too. “The entertainment industry is so fluid, right? I remember when I had my first hour standup special, ‘Beyond the Pale’ in 2006. And I remember there was a USA Today blurb that said, ‘Sitcom Actor Jim Gaffigan Does Hour Special.’ I had been doing standup at that point for 15 years, so it’s a perception thing,” he said. And for as exciting as this convergence of roles is, Gaffigan’s had potential breakthroughs like this before, so he knows to be cautious. “I did a Broadway play ‘That Championship Season.’ I got some real positive feedback and that didn’t move the needle. And I did this movie about people a year after 9/11 that got really positive feedback called ‘The Great New Wonderful.’ And that didn’t really move the needle. It’s not like the solution is solved,” he said. Regardless of what happens going forward, he’ll always have comedy. As the marquee name on Amazon’s first major standup special, that’s a part of his career that’s not likely to go away any time soon. “Them That Follow” was acquired at the festival by The Orchard. “Troop Zero” will be distributed by Amazon Studios. “Light from Light” debuted in Sundance’s NEXT section.